Check out our new Podcast. Cast In Hollywood now has its own podcast called The IN Podcast. You can listen to our first episode now. Cast In Hollywood is a full-service casting facility in the heart of the film industry. We are located in Studio City, conveniently nestled between Hollywood, CBS Studio Center and Universal City. Shooting rates are priced differently, please contact us for a quote. 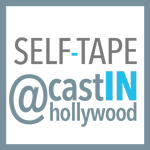 If you need an audition put on tape, visit our self-tape page. Just click. The facility makes casting easy. We held a session for 2 days. The rooms were perfect for what we needed. Great Location and parking. The rooms are well sized and the team there made sure I had everything I needed. Easy location. We had an amazing turnout of actors for our Indie feature. Great for our budget! Cast in Hollywood was created by a team that knows casting.